Taylor Sharp is the co-director and executive producer of Hoops Africa (Photo courtesy of Taylor Sharp). Next week in Chapel Hill a new documentary will premiere at the Varsity Theater. 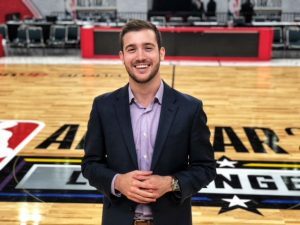 It’s called Hoops Africa and it’s produced by Taylor Sharp, a recent UNC grad. Taylor joins us now to talk about the film.